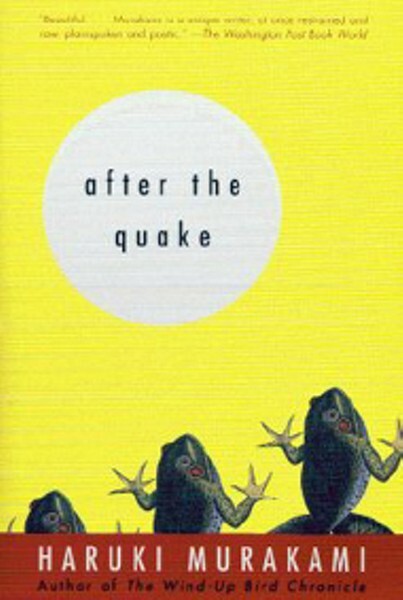 The Western world's favorite Japanese writer, Murakami moved back to his native land after the horrendous 1995 earthquake there that killed thousands. The stories in this collection show people whose lives are as fragile as the land they're standing on, going in and out of dreamworlds, finding and losing beliefs, oddly disconnected yet with a sense of urgency, all wrapped in Murakami's usual semi-surrealistic style. An Iraqi woman tells a compelling and lively story of 10 years in her life, beginning with the time of the first Gulf War in 1991. Al-Radi is a professional artist who writes very direct, striking prose about the chaos Hussein and Bush I brought to her homeland. Details of everyday life's disruption by the war and the subsequent embargo by Western countries -- as well as the myriad ways people found to live their lives in the meantime -- give a remarkable glimpse at what it's like to be ordinary citizens in a country that, through no fault of their own, is under siege. A paperback reissue of a thorough, insightful book that reads like a novel, reporting on the making of Marvin Gaye's legendary What's Going On album. Edmonds skillfully relates the hard studio work that produced that masterpiece, but he expands the book into a look at the last years of real creativity at Motown and the beginning of the end of what had been the world's greatest pop hit machine. Hard to believe, but Motown actually rejected Gaye's visionary work at first, then grudgingly relented. Novello Press' first venture into publishing for Young Adults is a roaring success. Cornelius writer Michelle Groce takes a subject familiar to children's and young adult lit -- an animal with magical powers -- and raises Jasper far above the norm by virtue of her open, inviting and lyrical style. The plot about an abandoned cat who sees flashes of the future features delicate writing and crystal-clear descriptions that bring characters to life. Groce's talent places this way above the norm in Young Adult fiction. The author of the legendary Boys of Summer tells the wild story of the 1978 New York Yankees' season. The main characters -- owner George Steinbrenner, the explosive, often drunk manager Billy Martin (replaced mid-season by the serene Bob Lemon), Ron Guidry, whose pinpoint pitching saved the team on several bad days, and showboat power hitter Reggie Jackson -- are brought to life, as is their comeback from 14 games behind the Red Sox, followed by a one-game playoff with the Sox which sent them on their way to their second consecutive Series title. Kahn's cool, collected narrative is entertaining and knowledgeable and makes it clear why the team was called the Bronx Zoo. Once in a while, a book comes out that seems to have been written from current headlines. Thief of Words is one of those books with the right plot at the right time.At first, Thief of Words seems to be headed to being a mystery, but it's really a love story with a strong plot. Former newspaper reporter Annie Hollerman, now a literary agent in Washington DC, has worked hard and built a good business. She represents a variety of writers -- characters all -- from a women's empowerment guru called She-Devil to the mystery writer who doesn't want to be called a mystery writer. But she hasn't been so lucky in love. After being unceremoniously dumped by another reporter with whom she was in love, she married and divorced a guy her mother refers to as The Cardboard Box. Her best friend Laura is still a reporter and works at the Baltimore Star-News. When the features editor, Jack DePaul, asks Laura if she knows any single women, Laura thinks of her friend Annie and badgers her until she consents to the "date." DePaul is also divorced and has just ended a love affair with another editor at the paper. To no one's surprise, sparks fly and Jack begins to court Annie through emails. An editor usually doesn't get to write much, so Jack pours a lot of creativity into his correspondence, starting with rewriting a trip Annie had taken to Spain with her former husband. Of course, just when it looks like our middle-aged Romeo and Juliet are going to live happily ever after, along come complications in the form of Jack's former lover and a secret Annie has been trying to hide. 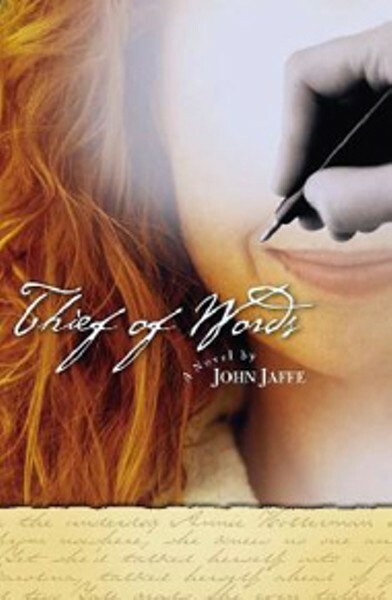 Thief of Words is partly based on the real-life romance of former Charlotte Observer reporter Jody Jaffe and her husband John Muncie. (Thus the John Jaffe pseudonym.) Both divorced, they were "fixed up" on a blind date by a mutual friend. Muncie did indeed court Jaffe through letters and emails. Together they came up with the concept of "rewriting" parts of the past. Jody Jaffe explains, "It evolved from the emails we sent each other. John sent me the Spain email and I told him it was as if the first trip to Spain (with husband number one) never happened, that when I think of Spain, I think of our trip with the flamenco dancer. "We saw this rewriting-your-past notion as the perfect healing agent for anyone who has events in their lives they'd like to rewrite," she adds. Too much explanation about the "thief" involved here could give away too much of the plot and its complications. Let's just say the Thief of Words isn't just one person in the book; but a main plot twist involves a story that one of the Star-News reporters is working on concerning a reporter at the Pittsburgh paper who was caught after plagiarizing a story. Unfortunately, real-life fraud and plagiarism similar to the New York Times' Jayson Blair fiasco isn't unique. Reporters are as human as everyone else and, under corporate and other pressure to produce, people can cave in to an easier way out. Jaffe says of the situation at the Times, "It's sad, it's depressing and has harmed a business we love -- ink still flows through our veins even though we've switched to fiction." Creative Loafing is mentioned twice in a couple of the flashback scenes set in Charlotte where Annie Hollerman was a reporter at the Charlotte Obs..., er, Commercial-Appeal. In real life, Jaffe moved to Charlotte in 1979 and worked for the Observer for over 10 years before moving to the Washington DC area with her former husband. Mystery readers may remember Jaffe's fine Nattie Gold mystery series. All or portions of those three books took place in Charlotte. John Muncie is a former newspaper editor who was in the business for nearly 30 years. He worked for, among others, the Baltimore Sun, the Los Angeles Times and the San Diego Union-Tribune. He left "the comma factory" after they sold Thief of Words and the two are deep into writing their second book together. The pair's journalism backgrounds easily explain the authenticity of their newsroom scenes and characters. Annie and Jack are great, believable characters. This is a well-written story from two talented wordsmiths. Take it along on that romantic getaway you've been planning and putting off too long. It might make you believe in romance again.